As the standards for international rowing continue to rise, success becomes ever more reliant on a volume of training that mirrors a profession, rather than training that is supplement to a profession. With this necessary commitment, the greatest challenge for USA elite rowing is keeping the right athletes in the development pool regardless of their financial situations. 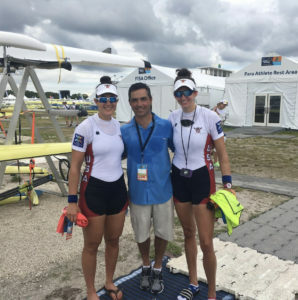 We believe there are a growing number of athletes with elite potential in our sport that could change the landscape of USA Rowing if given the opportunity to invest the time necessary for adequate development. ARION is the solution.